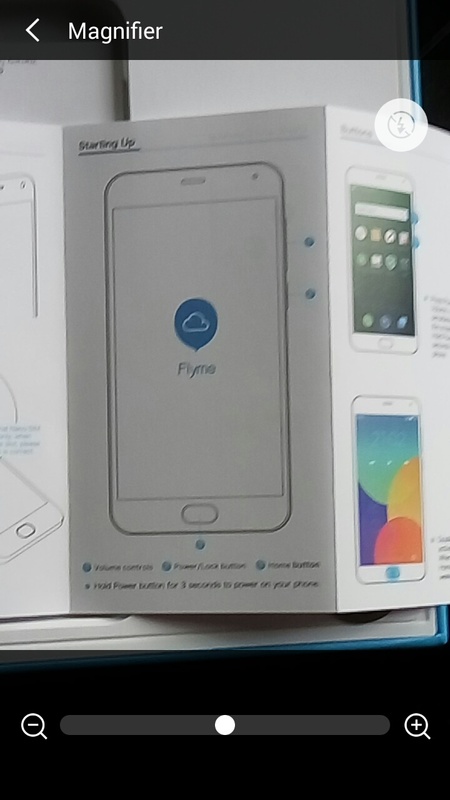 Flyme is a customised OS based onAndroid 5.1. It have lot of good and cool inbuilt applications. That is one of the think make Flyme better popularity. Toolbox is one of them. It is an application that provides six cool portable tools in Meizu devices. 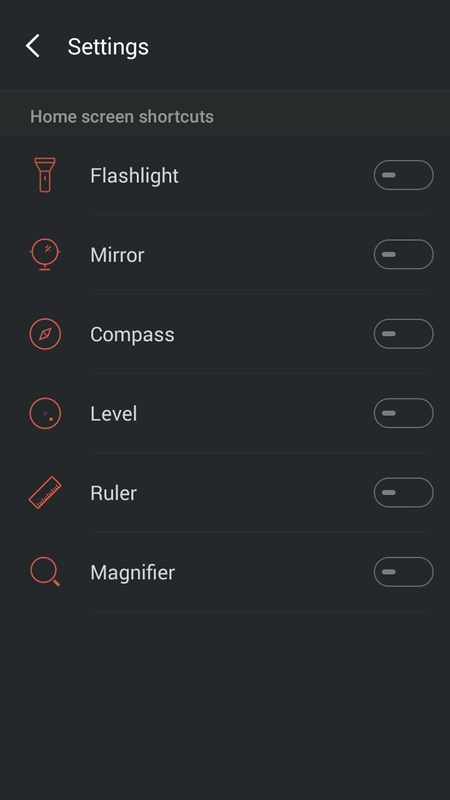 That are Flashlight, Mirror, Compass, Level, Ruler, Magnifier. Yeah! These are the most important six physical tools in daily life. Flyme provide these tools under a Umbrella named 'Toolbox'. Mirror- A brilliant feature espically for women that are constantly looking at the mirror. 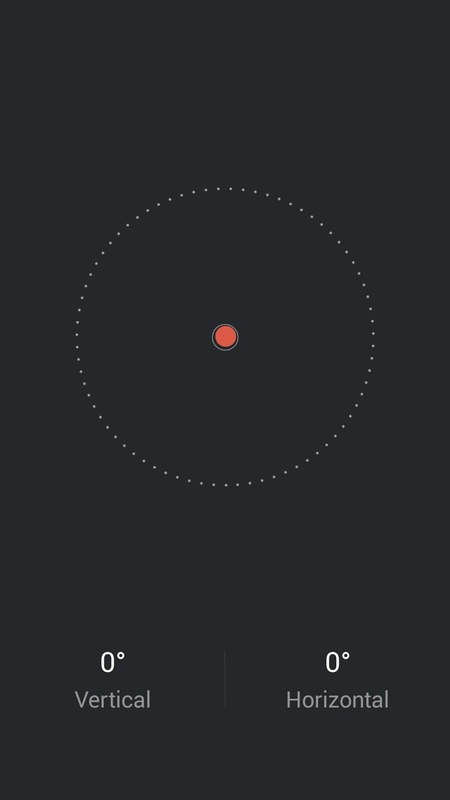 This feature requires using the front "selfie" camera and has a brightness adjustment scroll towards the bottom of the screen right on top of the capture button. The magic wand on the top right of the screen features 3 other camera modes such as stretch, rotate, and mirror which are a lot like the photobooth capabilities. 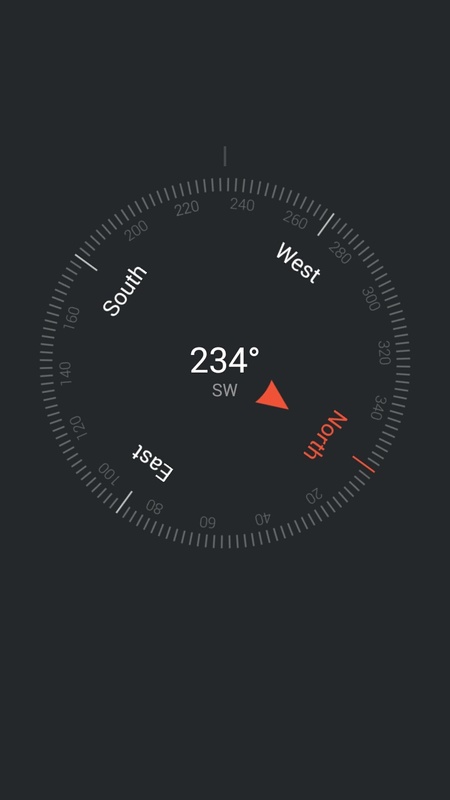 Compass- A handy tool when your out in the woods or even hiking up a mountain and don't have anything else to rely on for directions. 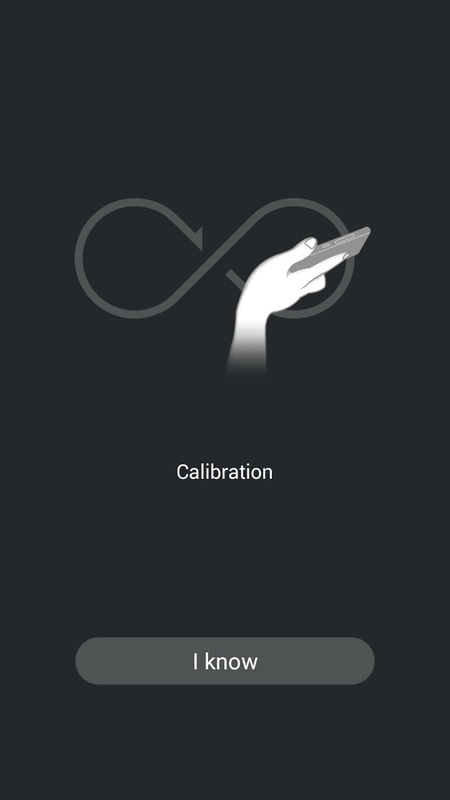 Requiring you to wave your phone in a figure 8 motion in order to calibrate it. Containing all for directions and even supporting with a 360 degree radius. Its main attraction is the design and give us a perfect result. Level- To assure that nothing is off-balanced or even crooked this tool will make sure that the vertical and horizontal leveling on an object is on point. Just simply lay your phone on whatever surface that you want leveled and it will show you the correct balance on that certain object. 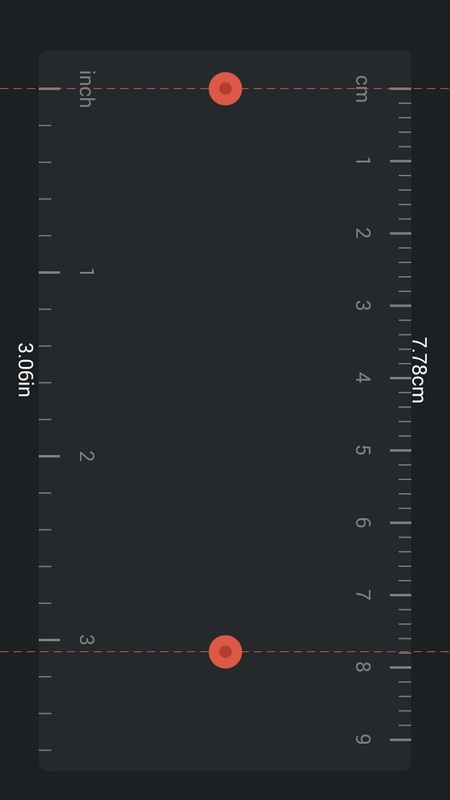 Ruler- As simple as it can be, measuring objects in cm or even in inches, this ruler will measure things up to 10cm/4inches provided with two adjustable points which allows you to get the most precise measurements. Its design was also superb. Magnifier- Just as simple as it sounds, it's a small tool that uses the back camera to zoom in and out with auto-focus by sliding the scroller on the bottom of the screen. 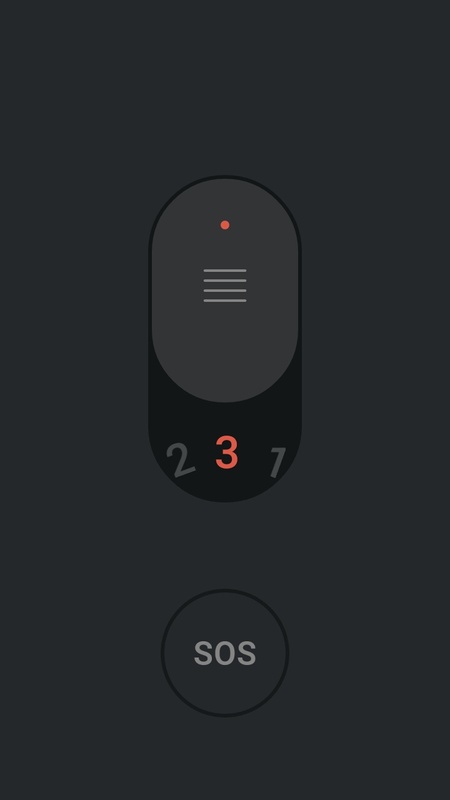 It also offers a flash toggle on the top right of the screen. We can see through it like a magnifier concave lens. 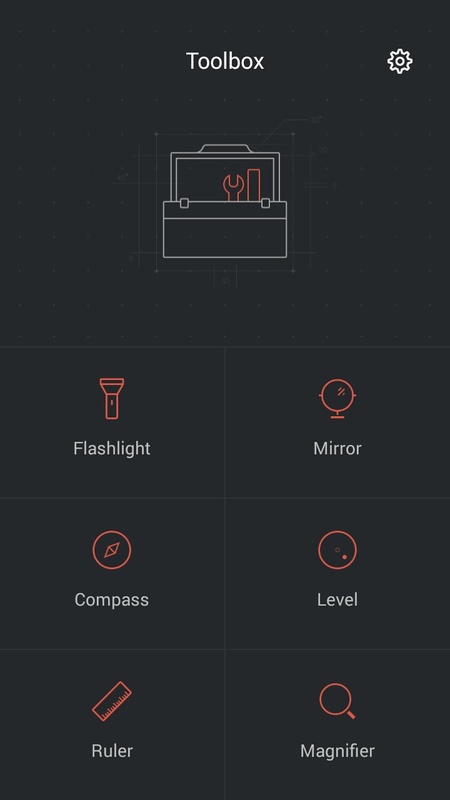 In Toolbox app we can see a settings icon. By tap it we can create shortcuts of six tools as our wish.